IMAP and POP are two methods for delivery of emails. Every time you set up an email client you get to choose one of them. There are some differences between them so it is up to you to choose which one you will use. IMAP is an abbreviation of Internet Message Access Protocol. With this method you can log-in to a few different email clients and check out your same email messages, because IMAP method stores the emails on a mail server instead on your computer. When you use this method, you are basically using your email client to get access to the mail server where you can manage your emails. With IMAP you can access your email messages using different devices, and everything you modify, change or delete will be synchronized with all email clients that you are using. A thing to know regarding this method is that your email inbox might fill up very quickly if you receive or send large number of messages due to the fact they are stored on the mail server. POP, or Post Office Protocol, is a method through which your emails are downloaded and stored on your computer and after that they are removed from the server. Basically, you are using your inbox in a same way as post office box. When you access your emails with this method, copies of messages are stored locally while originals get erased from the mail servers. Your emails are connected to one device, so you cannot access your messages from another device or email client. There is no synchronization like in the IMAP method, so every folder you create and organize with one email client it cannot be synchronized and replicated to another email client. The POP method is ideal for those email users that prefer using one email to access their messages. It is also great for those that want to have larger space for email storage. This largely depends on your personal preferences and in which way you want to get your emails. If you have several devices for checking, responding and sending emails then using an IMAP method is better because it allows you access from different types of devices and email clients. Everything is synced, so if something happens to your smartphone or computer, you do not have to worry whether you will lose valuable information because all emails are stored on the mail server. If you wish to use one device and want all your emails to be accessed even offline, then you can go for POP method. Emails are always stored on your smartphone or computer, but if something happens to them then you will lose your messages. Therefore, use POP if you want to use one email client and one device and if you have limited storage for emails, and use IMAP if you use different devices for checking emails and if you want all of them to be synchronized. Many people have excellent ideas for specific apps, but large number of them has given up their ideas because they do not know how to make them. Luckily, today you have many options for creating apps without too much hassle. If you have a pretty good idea about an app that is missing on the market but your technological skills are modest, then using tools for making the app is the way to go. Maybe you will still feel uncertain because the lack of coding skills, but you should not give up your dream because of that obstacle. Good news is that today creating an app is easier than ever, even if you do not have any experience or coding knowledge. 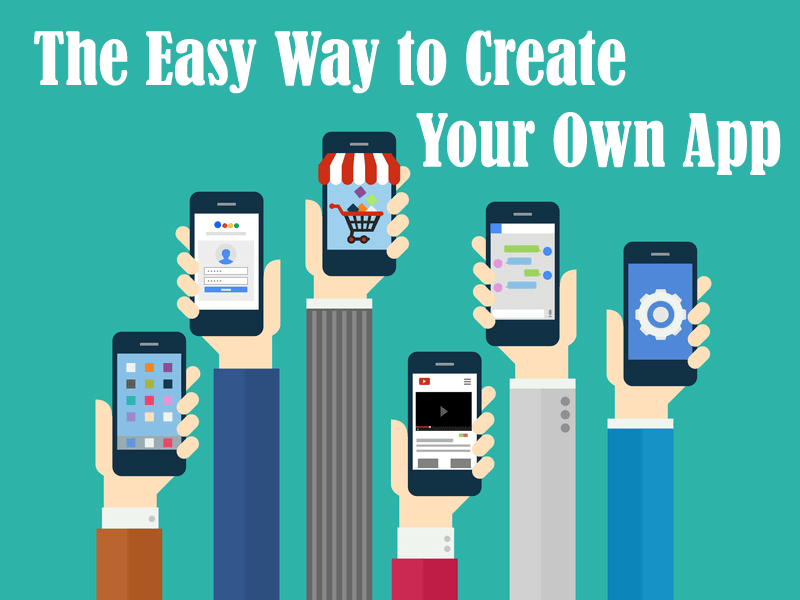 Regardless of whether you need something for a service, product, for your website or blog, or for your business, app creation tools are very easy to find and there are many of them online. The following are a few great tools that we recommend you to use if you want to create an app. AppMachine is the first tool recommended for creating an app. It is very easy tool to use and anyone can quickly learn how to use it. It is very simple and it works by quick scanning of your website and pulling in content. Then with the tool you can create building blocks. Apps like Free Cams Now has been known to use this tool. If you are looking for an affordable tool that is very simple and easy to use, then look no further than AppMachine. Appery.io is a very popular cloud-based platform that comes with many great services and options. It has been used by some pretty big companies for creating apps due to its powerful app building features. You will find plenty of helpful templates and other things and Appery.io also supports web apps that are responsive. Buildbox is a helpful tool with which you can create games by using simple options for drag and drop. You do not have to possess any programming or coding skills in order to create an interesting game with this tool. It is relatively new tool invented a few years ago and is created for gaming enthusiasts, web designers, developers and entrepreneurs that want to create a game from scratch without any experience in developing games. RhoMobile is an open source platform that can be used by anyone. With the help of RhoMobile you can create apps in the cloud and you can also write code by using modest or basic web skills. Xojo circles the list of best tools for creating apps. This tool is one of the fastest for making native apps for iOS operating systems. Xojo is a cross-platform tool so you can deploy it on any operating system. With the help of drag and drop options you can instantly create some well-designed and attractive interface. In Xojo you will find a large library with many helpful things for beginners, such as step-by-step guides, documents, videos and example projects. Shared hosting and dedicated server are a couple of web hosting services that have own characteristics and set of options. If you do not know which one is most suitable for you, then check out the following information and make an informed decision. With shared hosting, many different users are using the same resources from one server. All users that access the server share the bandwidth, cost of storage, and everything else associated with it. Users cannot access other people`s websites or accounts, so shared hosting is pretty safe system. This is a very popular option due to its relatively low cost and easiness of use. Even those that have no computer skills at all can use this method without problems. The provider of services will set up the server and install the software, so then all you need to do is just upload your content. Shared hosting comes with simple and easy to use control panel through which you can manage different things for your website. In general, shared hosting is ideal if you do not know how servers are configured and if you do not know or do not want to do the technical maintenance of your website. Also this option is great for those people that want a website for their small businesses and for those that have moderate website traffic of some few hundred visitors per month. If you are new in everything, then shared hosting is great for quick learning because you do not have to configure anything complex regarding configurations. With dedicated server you are the only person using the server. All server resources are yours to use. You do not share anything, so you have bigger control over operations and configuration. You also have more types of software, services and options to choose from. This option is better if your business is expanding and if you are adding more products and services to provide. It is also good option if you plan to put large number of high-resolution pictures on your website or if you want to do some video streaming. If your needs are changing and you want to have flexibility in making customizations and modifications then dedicated server is right option for you. This option is also pretty good for those that handle some sensitive online transactions and want added security features and improved safety options. Which One Is The Right Option? The most important thing is to consider your needs first before making a decision which option to use. If you are not certain, then a good idea would be to consult experts in the field so they will help you choose the most suitable option for your needs. Usually dedicated server costs a bit more than shared hosting because it provides you with more resources, as well as extra options and features to choose from. Those that do not have necessary technical skills and knowledge would probably benefit more from the shared hosting option. Apple has a very good reputation in the world of technology. One of its biggest strengths and positive sides is that they are designing their own software and hardware. That gives Apple a pole position in the field as they have the power to create and sell operating systems and apps that are customized and optimized for Macintosh users. 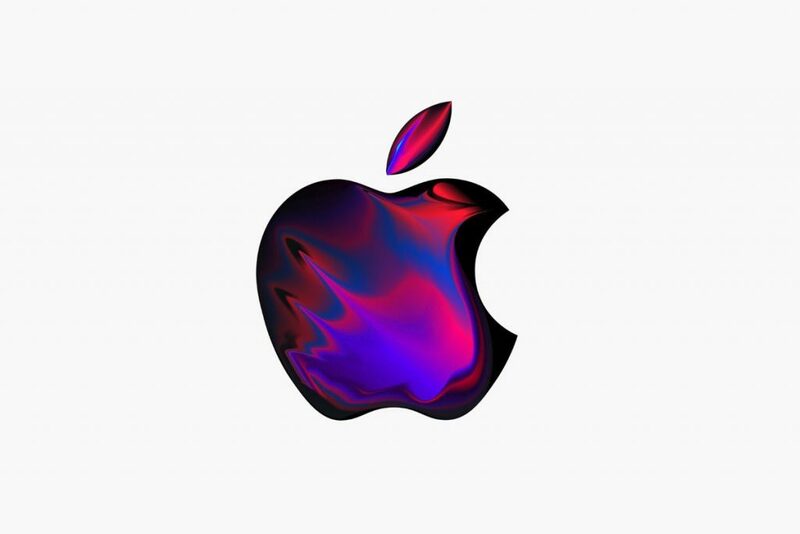 Apple is also preferred option because they are looking in the future and planning their new Mac hardware based on what they have at the moment. One of the best characteristics of Apple is that they design everything, from hardware to software, to work without problems. Pleasant buying experience and top-notch customer care are some of the main reasons that draw people towards Apple. High quality materials and components used for making their products is another main reason in favor of Apple. In case any error arises after you purchase their product, Apple professionals are there to respond quickly and in professional manner. Apple products have great visual appeal. Their display panels are hard to beat because latest technology is used for making them. They have their own operating system, which is great for specific types of work. The major operating system releases are free for now, so users love that. The battery life of their computers and other devices is fantastic. Good syncing options, easy sharing and simplicity in connecting are few other reasons in favor of Apple. Their software comes with higher standards. The content creation is perfect, so people love the options they are provided with. A pretty big reason why people prefer Apple is because their Macs have a big resale value. Most other computers and devices lose value over time, but Macs constantly have good resale value. Finally, because of the security that Apple provides. All their systems, app store, strong professionalism, quality security settings, and many other things make Mac owners comfortable. Their machines are rarely compromised by malware or viruses, which is very important thing for any user. These were some of the many reasons why many people prefer using Apple products over Microsoft. Of course, today it is possible you get a Microsoft-operated device with many of the mentioned features, but Apple has done a great job in delivering things as promised. There is no certain rule when it comes to which product to choose. It all depends on what you look for and on your personal taste. Some people feel more comfortable when using Apple products, while others feel the same for Microsoft. You can test and compare both and then see which one you believe is better. The abovementioned reasons are the most common reasons stated by people why they prefer Apple over Microsoft. Consider them, talk with other users, see what they are saying, and if you thing it is right for you – then give Apple a try and see it for yourself. File conversion is something that every person needs at some point. We sometimes receive files in certain formats or we create files that need to be converted before used for something or sent to someone. It does not matter whether it is PDF, JPG, DOC, BMP, WAV or MP3 – all types of files can be easily converted into something different. The following are the best free file conversion sites where you can convert various types of files in one place. Check them out and use them for your personal needs whenever you want. Convert.Files is a simple site where you have many options for converting different files. Locate your file or type its URL in order to start the process. Then you need to select the desired format and just hit the button Convert. You can also get the direct link of the file straight to your email inbox. As soon as the file conversion is completed, just type on the link to get your file. Online-Convert.com is another great file conversion site. Browse to find your file and upload it directly to the website. There are plenty of supported file types to choose from, so find the type you need and then choose between audio, image, video, eBook, document or archive converter. Using the site is easy – just press Convert File and that is it. FileZigZag supports audio, video, image, document and archive file formats. This file converter is email-based, so you first need to upload your file that needs converting, select appropriate format, and enter your email address to receive the converted file. Good about this site is that when you file gets converted you get a chance to review it before approving it and receiving it in your email inbox. If you do not like it you can delete it. The converted file is stored for three days on their server so you can obtain it later in case you change your mind. Convertio is a site that allows quick file conversion. Upload your file and then choose the desired format for conversion. All formats are available and pretty good thing about this site is that you can simultaneously convert several files at once. After conversion is completed you can save the new files on cloud storage or in Google Drive if you want. FreeFileConvert has several thousand combinations for file conversion, which makes it very popular place for searching and finding some less known formats. If you have a file that is not that common and that needs to be converted, then FreeFileConvert is the top site to use. At this site you can convert up to five different files at once but they need to be of the same type. Conversion and download is done very quickly, so this site works very smoothly. You can review every file format that is available and you really have nothing to worry about if you choose this site for conversion of your files.